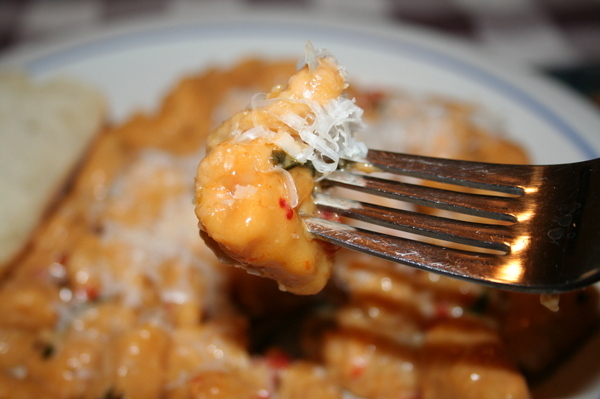 For French Fridays with Dorie this week, we made gnocchi. But not the gnocchi I usually make – you know, with potatoes. Or, sometimes, sweet potatoes. This version has no potatoes at all. 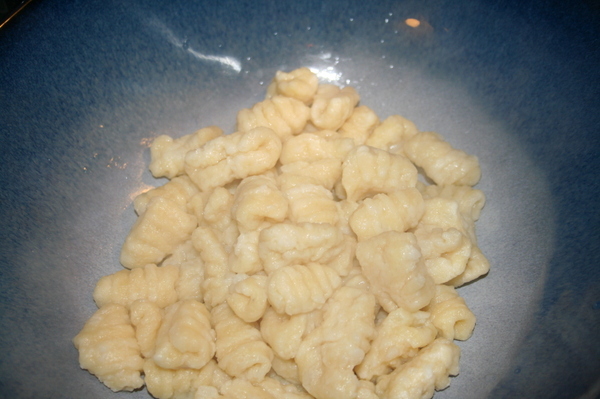 The gnocchi are made with pate a choux, the same dough used to make things like eclairs, cream puffs, and gougeres. Every Wednesday the Providence Journal publishes their Food Section - a collection of articles about food, recipes, local food-related events, and so forth. I would love to get the paper delivered every day - and have time to read it - but we cancelled our subscription long ago because the papers would pile up and we'd end up either recycling them or using them to start fires (in the fireplace or on the grill - not just random ones). So, we cancelled. And the only thing I miss is the Food Section. Of course, fortunately the paper is online, so I can check out the food stuff there, but it's not the same as turning the actual pages, so sometimes I'll buy the Wednesday paper. All that long and rambling opening to explain where I got this recipe. I've made this a couple of times lately. I love gnocchi. I love potatoes. I love pasta. I admit it - my name is Jayne, and I'm a Starchaholic. Now that we're clear on that point, let's get back on track.